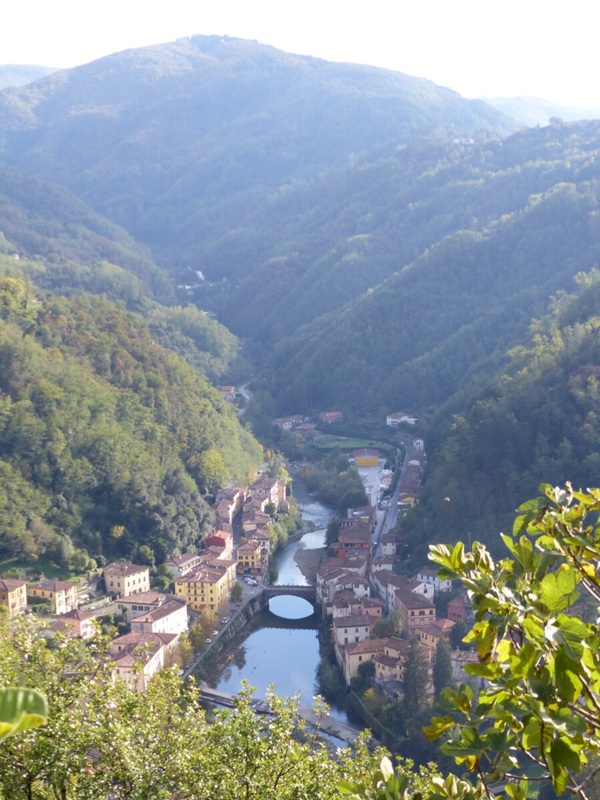 If I was a bird this is what I would see of Colle and Ponte a Serraglio. I took these photos in late autumn from Granaiola. 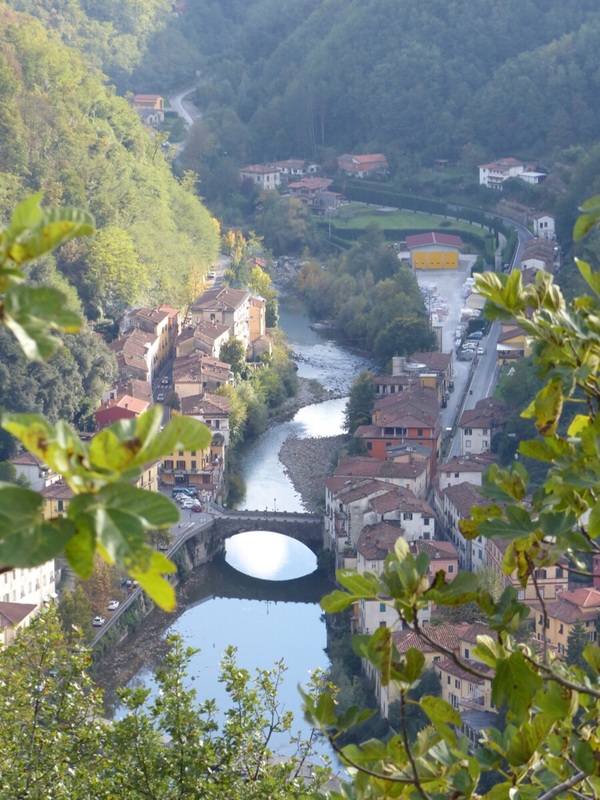 I look forward to being back in beautiful Bagni di Lucca early in 2017. 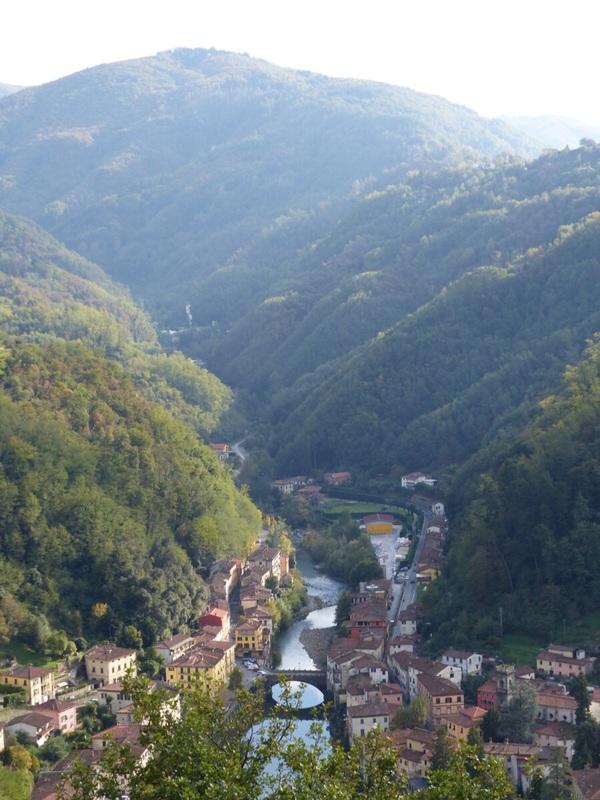 This entry was posted in seasons, The villages of Bagni di Lucca and tagged Bagni di Lucca, Italy, mountain villages, Ponte a Serraglio, travel, Tuscany by Debra Kolkka. Bookmark the permalink. Wonderful photos. Brings back fond memories of our stay in Bagni Di Lucia last autumn. I hope you come back one day. I especially like the photos of the river reflecting the bridge. I love th view from above. The photos are great and the views are magnificent. 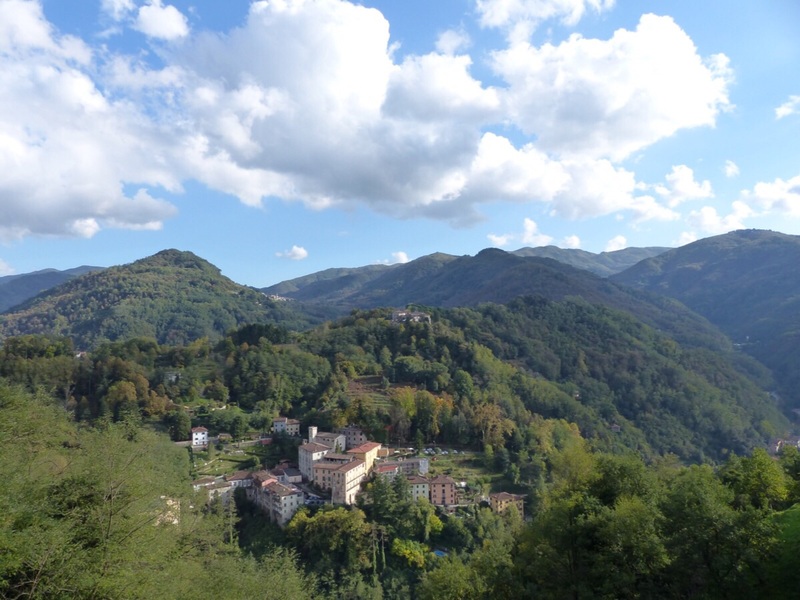 For beautiful views of La Villa and Corsena the best spot is the road coming from Benabbio. Finding a place to stop can be a problem. There are great views from Lugliano as well. Beautiful photos Debra; lovely villages. Italians don’t believe in wasting any land that can be built on. They seem to be able to build in very difficult situations…very good builders. Thank you, we live in a beautiful area. 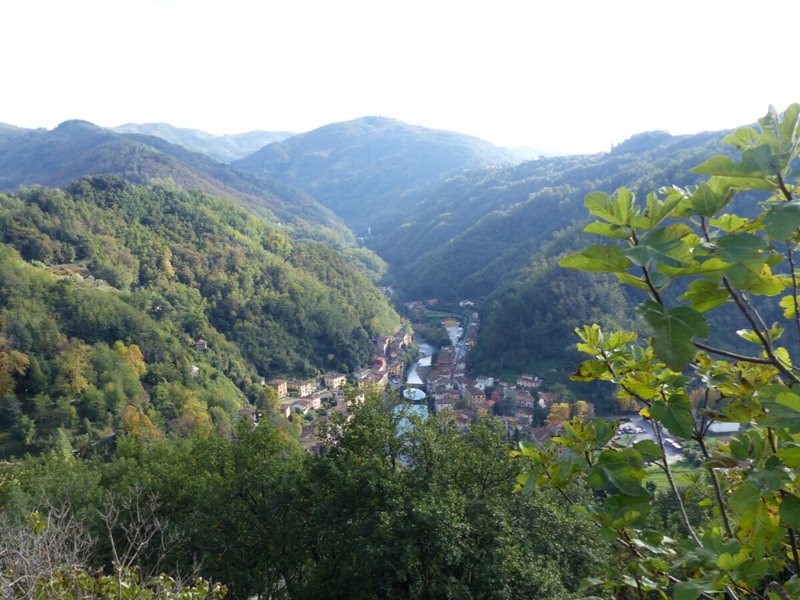 On christmas day we walked down from Granaiola to Pinte Sergalio. It was a wonderful day with similar views. That is a lovely walk. The views from up there are excellent. Spectacular … and a view I have not seen. Thanks! The photos are taken from Granaiola. They have a great view from there. Really beautiful looking down on the village. One of my favourite views. It looks spectacular from there. I should go more often. 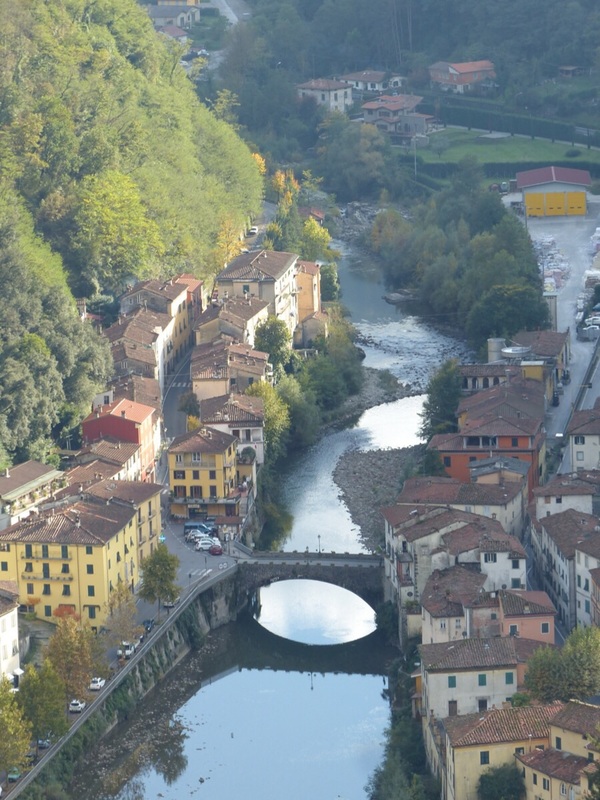 I will be back in Bagni di Lucca in about 6 weeks…can’t wait. 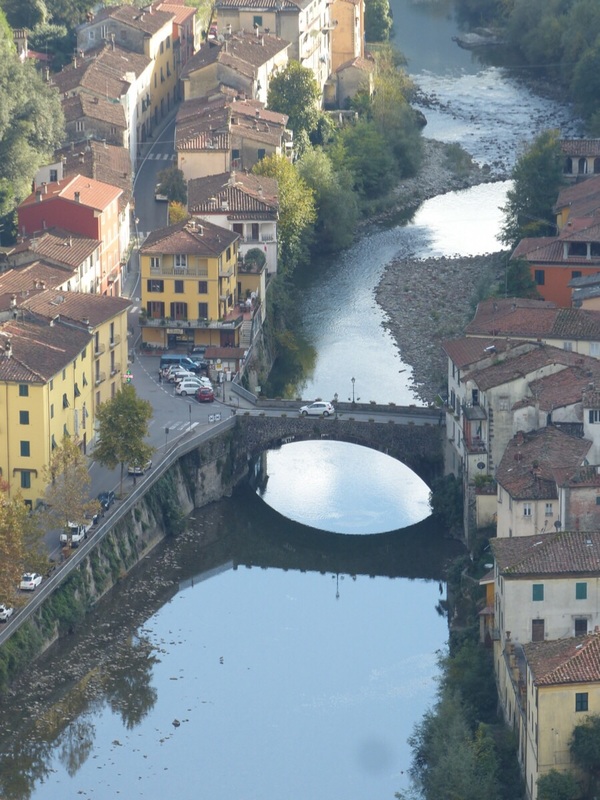 Would like to meet you…Will be in Bagni di Lucca April 8-22…Will you still be around? Yes, I will be there then. Let me know when you arrive. Your photos are amazing. Happy New Year! Happy 2017 to you too. I hope the year is kind to you.